Attention deficit-hyperactivity disorder (ADHD) is a neurobehavioral disorder that affects 3-5 percent of all American children. It interferes with a person's ability to stay on a task and to exercise age-appropriate inhibition (cognitive alone or both cognitive and behavioral). 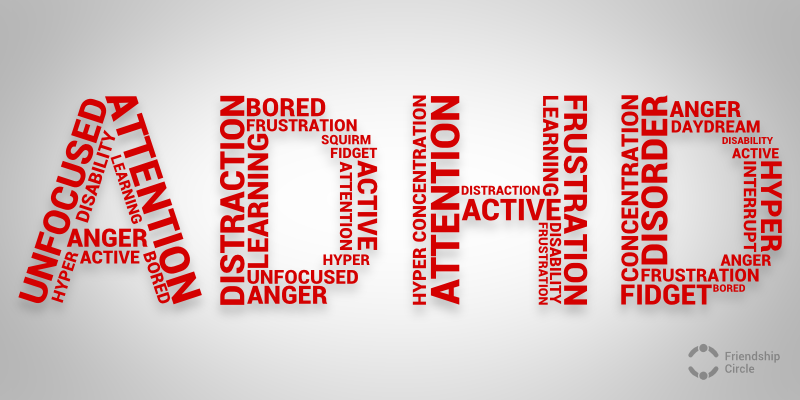 Some of the warning signs of ADHD include failure to listen to instructions, inability to organize oneself and school work, fidgeting with hands and feet, talking too much, leaving projects, chores and homework unfinished, and having trouble paying attention to and responding to details. There are several types of ADHD: a predominantly inattentive subtype, a predominantly hyperactive-impulsive subtype, and a combined subtype. ADHD is usually diagnosed in childhood, although the condition can continue into the adult years. The usual course of treatment may include medications such as methylphenidate (Ritalin) or dextroamphetamine (Dexedrine), which are stimulants that decrease impulsivity and hyperactivity and increase attention. Most experts agree that treatment for ADHD should address multiple aspects of the individual's functioning and should not be limited to the use of medications alone. Treatment should include structured classroom management, parent education (to address discipline and limit-setting), and tutoring and/or behavioral therapy for the child. There is no "cure" for ADHD. Children with the disorder seldom outgrow it; however, some may find adaptive ways to accommodate the ADHD as they mature.